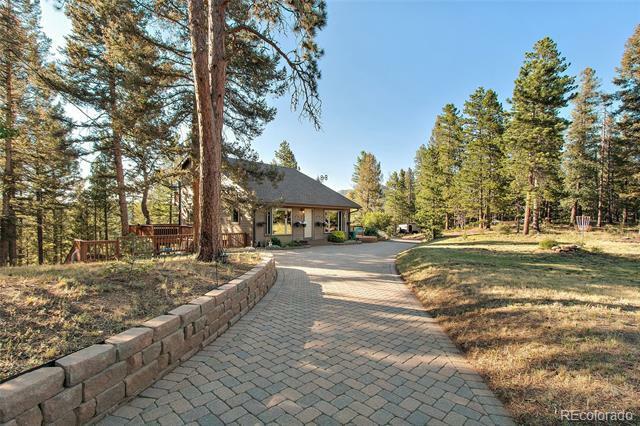 Impeccable, jaw dropping, beautiful home on 2 secluded acres. Walk into an open floor plan, family room, dining room & gourmet kitchen. Kitchen includes slab granite counters, maple cabinets, high-end stainless steel appliances, subzero refrigerator, Thermador convection oven & cook top. Main floor office is also a 3rd bedroom, complete with Murphy bed system, window seat, built in bookcases & access to wrap around deck with a Wind River energy efficient hot tub. Lower level offers max. storage, mud room/flex space, washer/dryer with utility sink, heated 2 car over-sized garage w/built in storage, work bench, and a separate ATV/vehicle garage space. On the exterior, there is low maintenance hardy board siding, drip watering system, new Leafguard gutters with heat, sunny southeast exposure, enclosed pet space under deck with indoor & outdoor pet access, beautiful brick paver driveway, triple pane Pella windows, ample outdoor seating areas for entertaining, plus much more!